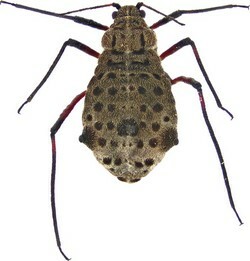 Giant willow aphid (GWA) is negatively impacting New Zealand’s rural environment, apiculture and horticulture industries, and poses a human and animal health threat because of the elevated numbers of wasps associated with aphid honeydew. Scion is leading a three-year research programme focusing on long-term control of giant willow aphid. This programme is funded by MPI’s Sustainable Farming Fund and brings together Apiculture New Zealand, the New Zealand Poplar & Willow Research Trust, the River Managers Group and Zespri International, all providing significant cash and in-kind support. Research partners include Plant & Food Research, the University of Otago and the USDA Forest Service. See “Partners” tab for a full list of research partners and supporters.